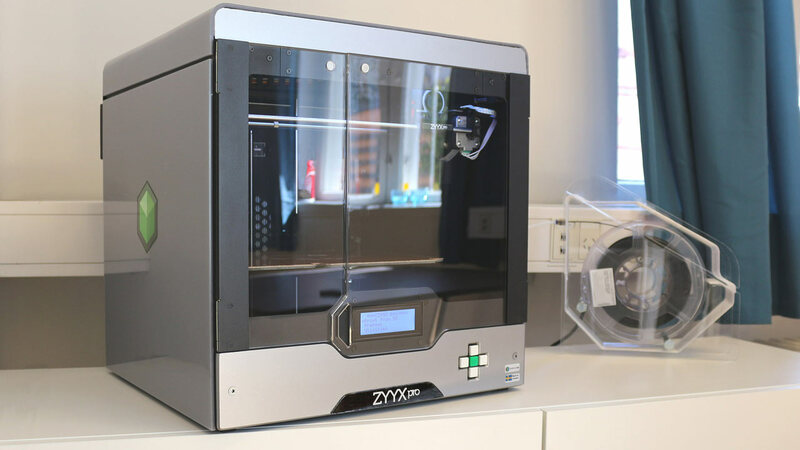 ZYYX Pro is a Swedish industrial grade 3D printer specifically developed to allow professionals to rapidly produce customized, high-strength parts on their desks. A 3D printer for professionals must meet very high uptime expectations. 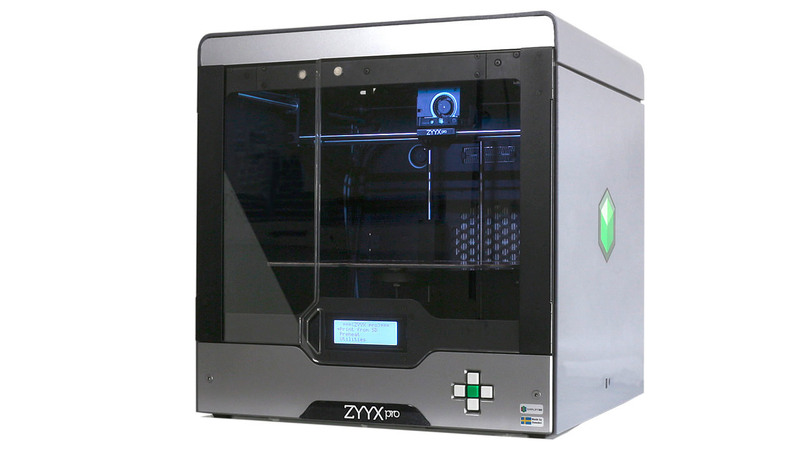 The ZYYX pro is therefore built upon ZYYX’s proven platform with features such as Automatic Leveling, Material Monitoring and a Heated Chamber. A new feature of the ZYYX pro is the SwiftTool™, which enables the user to replace the tool head in under a minute, further improving uptime. 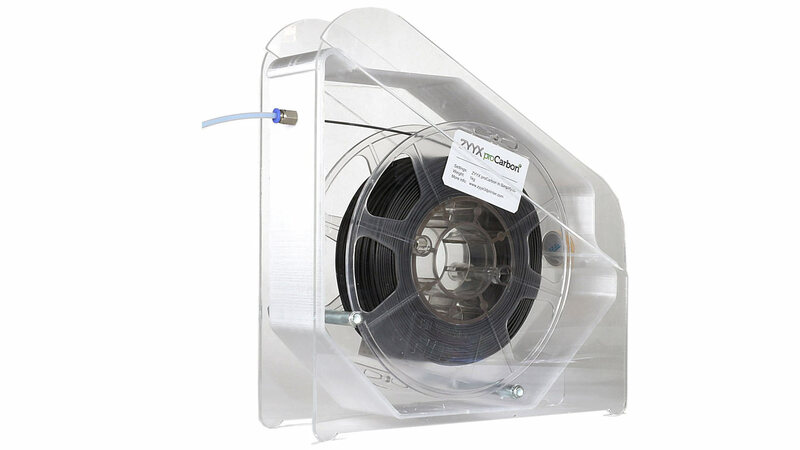 In combination with this, every unit of ZYYX proCarbon is delivered with a hard-coated SwiftTool™, ensuring that abrasive materials do not slow down the printing process. 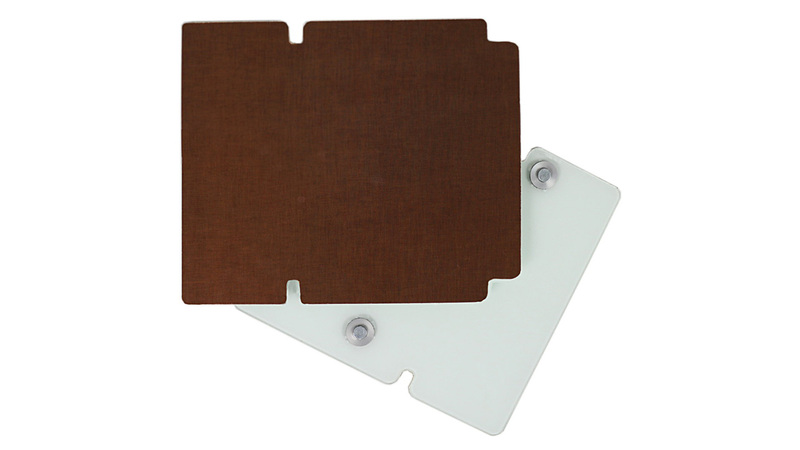 Equally important for the printing process is the condition of the printing material. 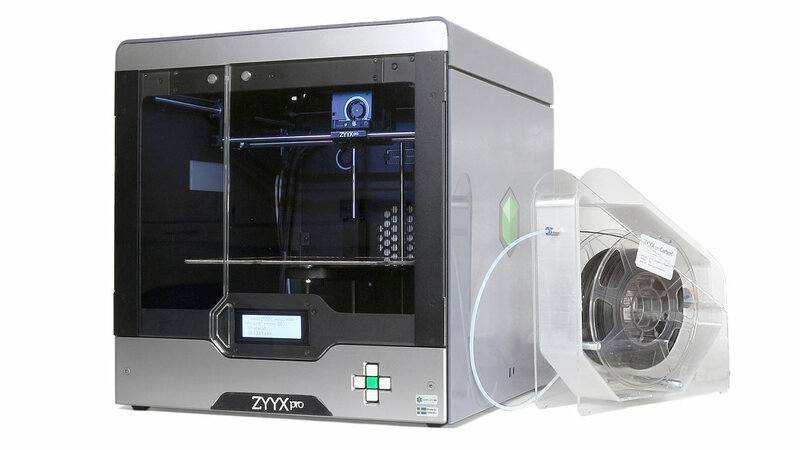 That is why the ZYYX pro comes with the proTect™ material system that maximizes the quality and durability of the material during use and storage. 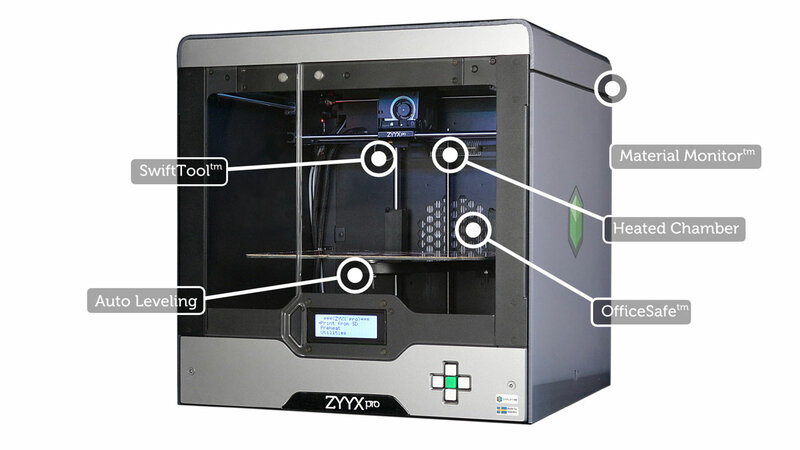 Health and safety must be the highest of priorities at any workplace and the ZYYX pro is designed to be quiet and safe. Through an innovative filtering system (HEPA and active carbon) that removes ultrafine particles and odors, the user can print safely with any material. The ZYYX proCarbon™ is a nylon based filament reinforced with carbon fibers. It is developed to allo..